WTF Are You Reading? 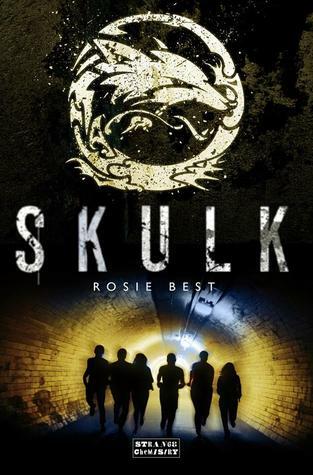 : Let Your Imagination Run Wild...With "Skulk"
When Meg witnesses the dying moments of a shapeshifting fox and is given a beautiful and powerful stone, her life changes forever. She is plunged into the dark world of the Skulk, a group of shapeshifting foxes. Many thanks to Rosie Best, for bringing such an eye-openingly fresh story to light in the genre of Paranormal YA. This is a book that lives and breathes diversity. From its intriguing mix of shifter lore (butterflies, rats, foxes. and birds) to the the development of a black love interest for Meg. Even the main character of Meg, is a surprise just waiting to be discovered. Though she is clearly born to the English upper crust; her nightly graffiti expeditions and clear disdain for the pomp and circumstance of her mother's world of politics and social climbing, is anything but. It is in fact on one of her sojourns into the night, that she chances upon the fox...uh...man, and a secret that will change her life and so much more forever. It is Meg's quest to discover the origin, purpose, and rightful place for the beautiful blue bauble; which leads her down a road paved in mystery, magic, and murder. Readers won't want to miss one nail-bitingly intense moment, as Meg discovers that there are more things that go bump in the night than she ever read about in story books. In fact, in the world of warring shifter factions, power hungry witches, and killer fog, fear of the unknown is the least of her worries. The relationship between Mo and Meg is not a conventional one by any means. After all, he is a butterfly shifter and she...a fox. Their shared love for art and need to protect each other, work to create between the two a bond that starts out as a friendship and slowly blossoms. There is not much room for the hanky panky that seems to be a hallmark of most YA. Our dear lovebirds are far too busy trying to stay alive...sorry. This is a book for the adventurer who dares delve into the dark places. The person who wants the complexity of a puzzle, the imagery of a painting, and the masterful story-telling prowess of Rosie Best.